Les Houches had some fantasic soft spring corn snow to ski this afternoon. In the morning the snow would have been icy, so I decided to go up in the afternoon, and some pistes had the best quality of snow even towards the end of the day, after 3pm. There weren't many people there either, which was a bonus. There is plenty of snow on the pistes, even on the lower part of the mountain, and although there are some bare patches starting to show here and there, coverage is really good (see photos). Yesterday there was also good spring skiing/riding conditions in the mid afternoon at Brevent/Flegere, as it has been sunny every day since Tuesday. There was lots of sun up there, but the air was still cool. 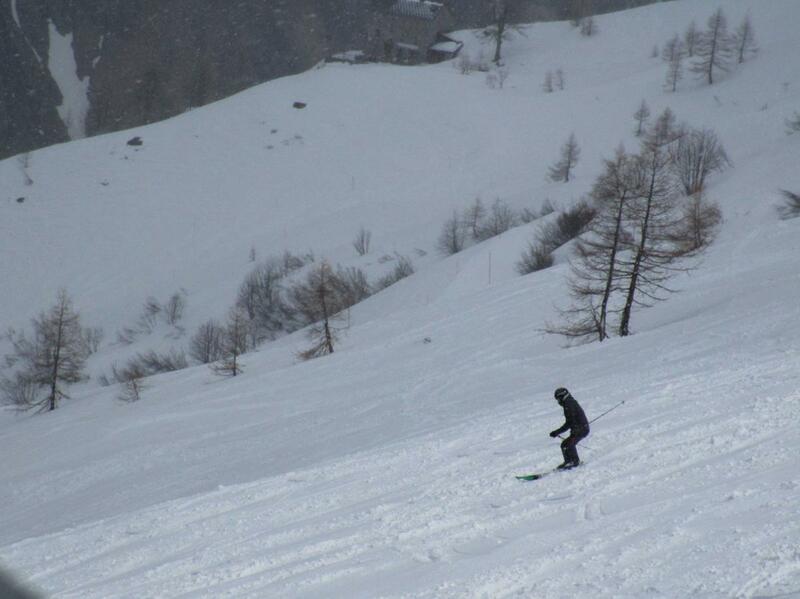 The groomed pistes were especially good, while off-piste the snow was a bit heavier and slushy. The Bochard, at the Grands Montets, is still closed while the rock under the pylons is strengthened. Hopefully it will open again soon, but it won't be tomorrow. The rest of the Grands Montets remains open and good (except of course the top cable car! ), and the snow will be a bit harder on its north facing slopes. 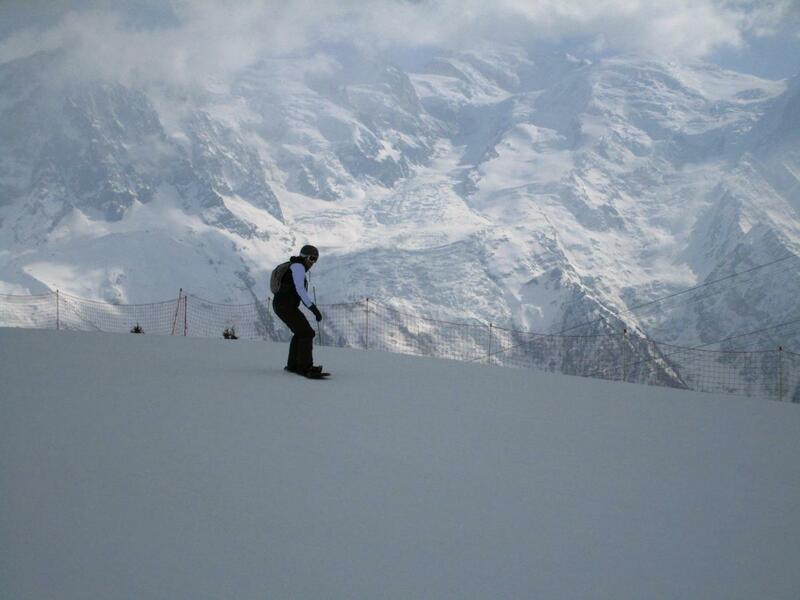 There is a suggestion of some active weather next week, with snow in the Chamonix mountains, but for now enjoy the sunshine and spring skiing/riding.